Do you cringe every time you use nail clippers to cut your dogs nails, or is it just me? Professional groomers make it look so easy; they make it look like clippers slice through dog nails like butter. But when I do it? I feel like I’m trying to cut through concrete with a piece of dental floss. So a few years back I made a change; I switched from using nail clippers to a dremel. Did it make trimming my dogs nails more fun? Well, no, it’s not a miracle maker. But they do make it so much more tolerable. Here’s why I made the switch, and why I prefer using a nail dremel over nail clippers. Are Your Dog’s Nails Hard to Clip? Do you struggle trimming your dogs nails? If so you’re not alone. It’s no fun for anyone. Most dogs hate it, and from everyone I’ve talked to the majority of dog owners seem to despise it just as much. So how did I make clipping my dogs nails a little easier? I switched from using a pair of nail clippers to a dremel. A nail dremel might not be right for everyone, but they’re great for those of us who struggle trimming our dog’s nails with traditional guillotine style nail clippers. For this review I’m comparing Safari nail clippers to the 7300 nail dremel (available on amazon). Laika is a pretty big dog with thick nails, and even with a brand new set of clippers they’re not easy to clip. And since most of her nails are black I can’t see the quick (the part in the middle that’s filled with blood vessels), so I’m always nervous about cutting them too short. The reason I recommend using a dremel over nail clippers is control. I never feel like I’m in complete control when using nail clippers. They get dull, and they turn what should be a nice easy trim into a nerve wracking experience. Have you ever cut into your dog’s quick? If so it’s something you (and your dog) won’t forget. With a dremel I don’t have to worry about that. With a dremel I know how much I’m trimming at a time, and I don’t have to worry about accidentally cutting her nails too short. Nail trimming is never fun. Using a dremel isn’t the highlight of my week, but it does make trimming my dog’s nails so much easier. It gives me confidence in what I’m doing, and when I’m less nervous my dog is less nervous. It makes nail trimming a much more tolerable experience for both me and my dog. 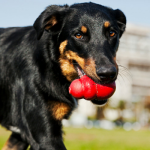 Tip: If you do end up cutting your dog’s nail too short here’s 5 remedies to stop your dog’s nail from bleeding. What Exactly Is a Nail Dremel? Nail dremel’s are rotary tools that work by grinding your dog’s nails down. They’re a good alternative for dogs who hate having their nails clipped by guillotine style clippers, though the noise they make does take some getting used to. The 7300 dremel that I use is cordless, and came with a set of rechargeable batteries and 4 replacement drums. It’s lightweight (1.4 pounds), which makes it easy to control and hold onto for extended periods of time. It has two speed settings: high and low. For Laika (70 pounds) I use the high speed setting. After 3 years of use I’ve only had to change two drums (they get worn down after repeated use), and it still holds it’s charge as well as is did when I first got it. Laika’s nails after a trim with the dremel. I know they *could* be trimmed even shorter, but for me this is a vast improvement over what I could get done with traditional guillotine style clippers. 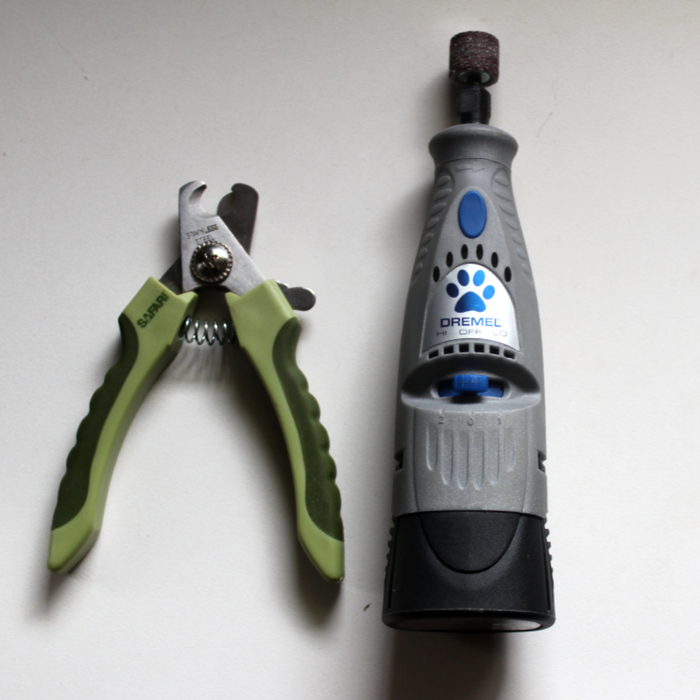 To use a nail dremel you push/tap the grinder directly onto your dog’s nails. They do get hot after prolonged use, so it’s recommended that you only hold it on your dog’s nail for a second or two at a time. One of my favorite things about using a dremel is the ability to get my dog’s nails much shorter than I could with clippers. Since you’re only removing small bits of nail at a time it’s easy to watch your own progress and not worry about cutting into the quick. When introducing your dog to the dremel be sure to take your time and use plenty of treats. 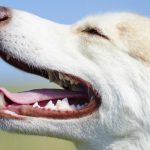 The noise it makes will take your dog some getting used to, so the goal is to make the experience a positive one. Using a dremel may give you more confidence, but it will still take time for your dog to get used to it. My best advice is to take it slow. 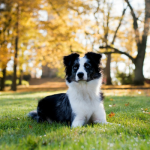 Give your dog a chance to get used to the noise a few times before heading right into the trimming part. For dogs that are sensitive to noises (or new situations) I suggest turning it on a few times around them without trimming your dogs nails. It’s tedious I know, but rewarding them for being around that new scary thing is one of the best ways to make sure you don’t completely sour their association with it right away. I’d give Laika treats for sitting near me when I had the dremel on, and we worked our way up to doing one nail at a time. And if you’re clumsy like me just be careful around your dog’s fur when using a dremel; I have gotten the dremel stuck in the carpet a few times, and I don’t even want to imagine how horrible it would be to get it stuck in your dog’s fur. 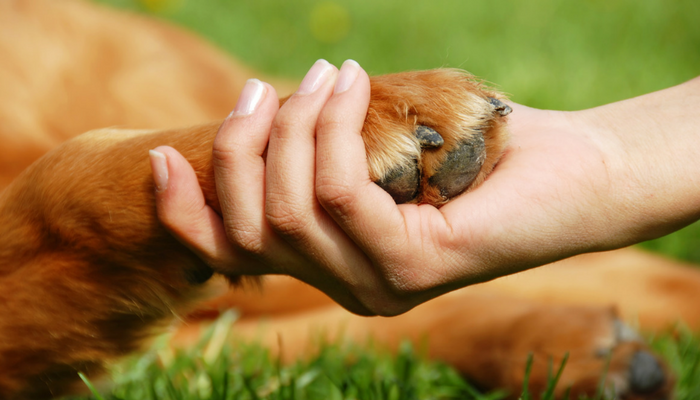 When it comes to using a dremel on your dog’s nails there’s one thing to watch out for: heat. Nail dremel’s get hot after prolonged use. If your dremel has been turned on for awhile don’t hold it on your dogs nails for more than a second at a time. Do one quick tap (or brush) at a time and take a break for a few seconds in-between. 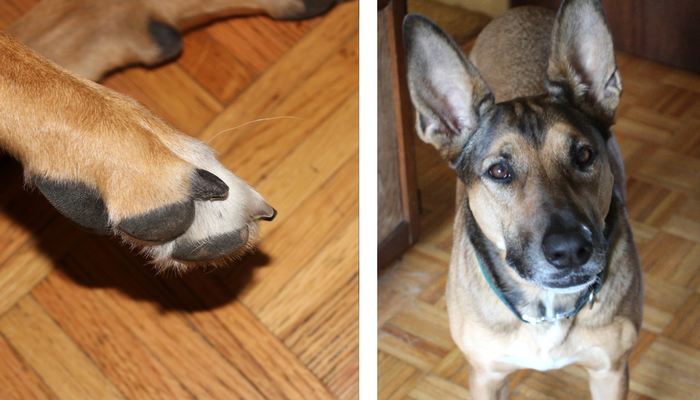 The dremel I use (the Dremel 7300) is fairly low powered (compared to others on the market), so it takes a bit longer to heat up (it is powerful enough to be effective on my 70 pound German Shepherd mix). But after a few minutes on the high setting it does become hot to the touch. I love my dremel, and I’ve been using it for years, but in fairness I admit it’s not perfect. Using a dremel still takes awhile to get my dogs nails completely done, and the activity itself isn’t the most pleasant. But it does bring a level of stability and comfort that I rely on, which is the main reason why I prefer using a nail dremel over nail clippers. When I use traditional clippers I have to push down so hard, leaving me paranoid about accidentally splitting or crushing my dog’s nails. With a dremel I don’t have that worry; I know exactly how much I’m going to grinding off. Now I know that’s only 3 benefits, but when it comes to trimming my dog’s nails those are my main concerns, and why I always choose my dremel over clippers. A dremel makes trimming my dog’s nails easier, I don’t have to worry about cutting them too short, and they don’t make me nervous like clippers do. Those 3 reasons alone are why I prefer a using dremel over clippers, and those are the reasons I’m never looking back. How Do You Make Trimming Your Dog’s Nails Easier? 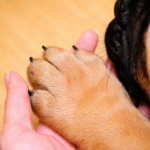 Have you tried using a dremel for your dog’s nails? Do you prefer using a nail dremel over nail clippers? Do you have any favorite tips or tricking for making trimming your dog’s nails easier? This post contains affiliate links, if you make a purchase I’ll earn a commission. You can read more on our disclosure page. I use a well chewed nylabone with lots of ridges dipped in peanut butter held by my husband or distract our pointer while using the dremel on his impossible black nails. The dremel has been a game changer. Saving trips to the vets for stressful and expensive nail trims. I’ve trimmed lots of dogs with regular nail clippers but he was impossible until now.